If you’ve paid any amount of attention to the tech industry lately you’ve more than likely heard the term “Internet of Things.” The term was first coined in 1999 when commercial and personal use of the Internet was increasing. “IoT,” as it’s commonly referred as, is the idea of electronics, sensors and other devices that allow for networking being implemented into physical objects. The Nike FuelBand, or even the new Apple Watch are great examples of devices within IoT. Of course, smart labels fall directly into this idea, which means we’re completely on board with this connectivity. Odyssey’s proprietary DoD approved software works specifically with tags containing RFID inlays to track assets sent to the DoD. As the Internet of Things comes more into the mainstream, use of RFID and smart labels will become more widespread. Consider Cycle Alert, a system developed for trucks in high-density traffic areas that decrease the risk of accidents with bicyclists. Cycle Alert’s system mounts RFID readers onto trucks and busses that frequent bike-friendly cities. RFID tags are then placed inside the handlebars of bicycles, particularly those that are maintained by the city as public transport. When the tags come within eight feet of the readers on trucks and buses the drivers are not only alerted that the rider is near, but where his or her relative position to the vehicle is. Retail stores are also becoming heavily involved in the Internet of Things and smart labels from a logistics and product availability standpoint. We wrote an article back in January on the accelerated adoption of RFID and smart labels in retail clothing stores, but those aren’t the only commercial entities adopting the technology and networking themselves. Grocery stores across the world are now using RFID tags to track their perishable inventory. Scanner are placed on shelves and keep track of how long those good have been on display. Some stores are reporting a reduction of up to 10% on wasted goods, which is a massive number for the industry. In a recent article by Tech Republic, they report that 30% of all data from the Internet of Things is driven by sensor devices like RFID, which makes sense considering the ease and cost efficiency of the technology. Smart labels are small and can be applied to almost anything without intruding on aesthetics or design. That same article warns of a “data tsunami,” in which the IoT’s connective nature means data will soon be passed back and forth between more objects than not. Some may find that ridiculous, but that’s the way the industry is headed. Sure, we don’t really need refrigerators that play our MP3s, but what about refrigerators that can tell us if our food is getting old? Odyssey is already experiencing this “data tsunami.” The nature of our clients’ DoD Commerce business means a large amount of data needs to be efficiently and effectively distilled into something easily readable and action oriented. The use of passive RFID labels, combined with our DoD approved software that marshals all necessary data automatically, means our clients and the DoD can easily keep track of an asset lifecycle through Mil 129 and Mil 130 compliance. So we say bring on the Internet of Things, bring on the data tsunami. We’re prepared, and we’ve made sure our clients are prepared. As this technology becomes more widespread outside of DLA, so will the innovation and adoption, and we’ll continue to be pioneers. If you’ve been reading our blog recently you know that we’ve written pretty extensively on Wide Area Workflow, or WAWF for short. We’ve done this because WAWF is a critical element of DoD vendor compliance. In fact, it’s so essential we’ve built our software with that specifically with this in mind. Now, however, things are changing up a bit. WAWF has been renamed to iRAPT (Invoicing, Receipt, Acceptance and Property Transfer). Change like this has the potential to be a little jarring, so we want to use this post to fully explain what all of this means. Before we get started, though, take a look at our blog post on the various acronyms associated with iRAPT, WAWF and ultimately UID. It will help clear up a lot of confusion if you’re unfamiliar with the terminology. In November of last year, e-Business Suit 5.6 was released and thus changed the name of WAWF to iRAPT. Fear not, if you were familiar with WAWF, you’re also familiar with iRAPT. It’s still the secure web-based system used by the DoD for electronic submission of advance shipping data, invoicing, receipt, and acceptance, which allows DoD vendors to submit and track invoices and receipt/acceptance documents. That means that, critically, it allows government personnel to process those invoices in real-time. iRAPT will manifest itself in a DoD vendor’s compliance efforts most frequently in submitting advance shipping information, including RFID and UID data as well as Invoices. Our blog post on the UID Registry Migrating to WAWF (now iRAPT) explains these processes further, but essentially, this means that iRAPT must be the method in which new acquisition UID and RFID data is submitted to the DoD. This is extremely important as RFID and UID data makes up the backbone of the DoD inventory control methodology and an asset’s lifecycle management. The most important thing to note is that the name change doesn’t alter the critical nature of the iRAPT application or Odyssey’s position in the process. Because iRAPT Console is the core to what our software does (allowing DoD vendors to stay compliant in a manner that is both efficient and effective), we’ve built the Odyssey program specifically around submitting RFID and UID data to iRAPT by marshaling these unique identifiers, providing their management and incorporation within MIL-STD 129 R and MIL-STD 130 N interior and exterior label compliance. So fear not, specifically if you use Odyssey’s platform to complete your DoD-related tasks. You’ll still submit your data to iRAPT in the same manner you did for WAWF, which breaks down to a few simple clicks after our software automatically marshals the appropriate RFID and/or UID data. You can rest assured that those processes will remain just as hassle-free as you’ve always known them to be. Help! is it DoD IUID, or UID or UII?? In our previous blog post we discussed the basics of DoD MIL-STD 130N Item Unique Identification, or IUID for short. Our goal was to explain the complexities of IUID in a way that makes them accessible, particularly for those who find themselves working with the Department of Defense and attempting to stay compliant with procedures for military marking for shipment and storage. In this post, we’ll delve a little deeper into some of the acronyms frequently used alongside of UID. Many information resources, particularly government websites, will use these acronyms in place of their long-form titles, ensuring efficiency with complicated labels. 1. IUID, UID and UII: As stated above, IUID and UID both refer to Item Unique Identification. UII stands for Unique Item Identifiers. You’ll see all three used pretty frequently, which can be confusing unless you know they’re basically interchangeable. We’ll use all three, and we mean the same thing for all of them, a permanent marking method, mandated by the DoD, used to give equipment a unique identification to better track it. 2. TAV: Total Asset Visibility. This is the goal of MIL-STD 130 N, UID and why the DoD mandates compliancy for all of their suppliers. TAV means being able to view timely and accurate information on the location, movement, status and identity of items. TAV not only means the DoD can keep life cycle management records of an asset at all times, it also means they, and their suppliers, can view these records to gather information at any time about the quantity, location, and condition of assets anywhere in the DoD logistics system. 3. ECC200 Symbol: Error Correcting and Checking. ECC 200 refers to the 2D Data Matrix symbol we mentioned in our previous blog post. This is the physical mark or label that is wholly unique to that asset for its lifetime, even if the asset is modified in some way. It is read and decoded by a specialized barcode reader. 4. iRAPT-WAWF: Invoice Receipt Acceptance and Property Transfer - Wide Area Workflow. This is a new name given to an old standby in the DoD commerce world. This is the means in which new acquisition UID data is submitted to the UID Registry. For more information on iRAPT/WAWF and its relation to UID, check out our blog post on the UID Registry’s migration to WAWF. You’ll also learn more about how the Odyssey software is built to operate with this compliance specifically by marshaling UIDs providing their management and incorporation within MIL-STD 129 R exterior label compliance. 5. PDF417: Portable Data File (consisting of 4 bars and spaces, and patterns that are 17 units long each). This stacked linear barcode is placed on the case label and is used for the quick identification of assets. Odyssey’s software automatically integrates UID data into the PDF417, while simultaneously handling the programmatic insertion of the UID data into the electronic file sent to iRAPT/WAWF. This helps meet the UID Advance Ship notice requirement as well as the requirement to submit the UID to the UID registry. Of course, this list isn’t exhaustive, and the DoD and its suppliers utilize many other acronyms; click here to read more. Hopefully after reading this you’ll have a better time navigating the various resources online regarding the use of UID and what the DoD requires to stay compliant with it. Please also visit OdysseyDCS.com and the rest of our blog to learn more about DoD compliance and how the Odyssey software makes it easy. Last month we featured a blog article discussing two frequent challenges with RFID commerce compliance experienced by DoD suppliers. These two common, and very specific challenges, involve proof of delivery and the GSA transfer to DLA. While we saw these two obstacles on a recurring basis, the truth is that RFID technology is continually evolving and there are still many challenges yet to be overcome. We, of course, strive to be RFID experts, but it may be more accurate to say we’re on the side of pioneers. The potential that RFID technology has is multifaceted and we feel as if the surface has barely been scratched. Pioneers are critical to evolving tech because they continually say, “How can we make this better?” That’s what we’re looking to do. We recognize that RFID still has a long way to go in order to be completely user friendly and, because of that, we’re always looking for ways to make our Odyssey software even more convenient. We’re certainly not the only RFID pioneers, either. Scientists in Antarctica are currently using passive RFID tags to study large groups of Emperor Penguins. Passive RFID is an inexpensive and precise way to collect the data they need. Passive tags are also much smaller than other methods (such as active tags), and disturb the animals to a smaller degree. Unfortunately, passive RFID isn’t always efficient, as the tags located inside the penguins need to be close to a handheld reader/interrogator in order for the data to be collected. Previously, the scientists were required to walk into these large groups of penguins with the reader, which led to elevated stress levels in the penguins and potentially contributed to erratic behavior. Knowing that the reader needed to be close to the tags, the scientists started thinking outside the box. Their idea? Stick the reader on a small remote-controlled car and drive into the penguin crowds. Using this method, the scientists noted that the animals’ stress levels were significantly lower than when they had brought the reader in on foot, but they still thought they could do better. In an almost comical move, they attached a stuffed baby penguin, loosely resembling a young Emperor Penguin to the top of the toy car. The result was little to no elevated levels of stress amongst the penguins. The scientists now spend their days driving these penguin cars around different groups and collecting the data stored in the various tags. This story is pretty comical and, on the surface, doesn’t seem to relate to DoD supplier compliance in the least, but these scientists ran into limitations with RFID that needed to be addressed and they overcame them. We’re doing the same thing at Odyssey. We’re looking at the challenges and finding creative solutions. RFID tags are composed of 24 characters, which appear as random numbers and letters. The monumental opportunity for human error in transposing these tags is negated by Odyssey’s proprietary software marshaling the tag in conjunction with electronically received contract data and user managed shipment composition. That means that RFID data can be sent to the DoD with 100% accuracy without the supplier having to touch a single digit. Reading RFID tags in some environments, much like the example story, can also be challenging. For example, some Odyssey partners work in C&T and are required to pack 50-item level RFID in a box. The devices tasked with reading these RFID work well at this pack level with no concerns. But when the organizations receive a new contract whereby 200-item level RFID are now packed in a box, the task of reading these tags or aggregating them out of the box and allocating them to a contract becomes diametrically more complex. RFID tags have fickle tendencies, and densely packed items can easily affect their readability. In order to overcome this environmental and contractual challenge ODYSSEY has developed its 4th generation Aggre-Cart solution for Item Level RFID processing. Yes, RFID tags require special printers in order to be encoded and produced. Odyssey is a licensed Zebra dealer and offers these printers to clients, providing a complete turnkey solution if that is the desire. Odyssey has also developed an architecture if these printers don’t fit into our clients’ budgets. Clients have the opportunity to have their created tags print at our warehouse in real time and shipped to them directly, meaning they won’t need a printer on-site. Successful DoD compliance typically involves a lot of asynchronistic activities or multiple pieces of unrelated software required to meet the DoD mandate; we have dubbed this the “Swivel Chair Syndrome.” Instead of downloading software to a single computer that must be shared across departments or purchasing multiple pieces of software only designed to handle one piece of the process, Odyssey’s software is web-based, allowing access to it from any computer or mobile device, no matter where users are. The same services can be accessed from opposite sides of the building or from any location outside the supplier’s facility, as long as the Internet is available. We believe that we’ve made a lot of strides in making the ever-evolving nature of RFID technology more accessible, but we also know there’s plenty more to do. We’re not only looking to maintain our creative DoD approved SaaS platform ,but also continually seeking to implement more ways to make our clients’ DoD compliance experience efficient and effective. We want to start off by saying that we love RFID technology. We probably love it more than most people will ever realize. But as great as that affection is, we do recognize that there can be challenges in utilizing it correctly. Lately, we’ve noticed that prospective clients have been calling us with two specific issues related to the DoD Commerce process. 1. ‘proof of delivery.’ Essentially, suppliers aren’t getting paid for the goods they’re shipping until they are able to prove the shipment occurred and was delivered. 2. the General Service Administration (GSA) recently transferring management of their contracts to the Defense Logistics Agency (DLA). These two issues, if not approached correctly, can throw a wrench into the machine of any supplier looking to ship their products in the most efficient manor possible. The complications seem to loom large, but they don’t look like obstacles to us, because we’ve specifically developed our Odyssey software to counteract such scenarios. Allow us to explain. We’ll start with 'proof of delivery', as this tends to be more of a widespread issue. When a DoD supplier sends something to the Government that requires a RFID tag they must ensure that the information they provide is 100 percent accurate. If the label data isn’t inputted correctly into Wide Area Workflow (WAWF), the supplier won’t find out until they see they haven’t been paid, which may be 30 days later. Contacting the Government in this case often doesn’t solve the problem either. Without proper tags/MIL-STD 129R labels and corresponding database reconciliation, there’s no way for the receiving agency to properly accept the shipment. The supplier is left to search through their files, make sure they’re organized, get a copy of the packing slip, and shippers receipt label (UPS, FEDEX etc.) and send to DLA. Needless to say, this situation, that we have dubbed ‘forensic accounting,’ is all too easy to fall into, and can cause a variety of issues that include accounting and wasted resources. A RFID tag is composed of 24 characters and can easily succumb to human error when being transposed or hand entered into WAWF. Since RFID technology only works properly when it’s being used 100% accurately, a little bit of human error can cause a lot of headache. This is supremely easy to fix, however. Odyssey’s proprietary software combats this issue by marshaling the tag data within its software and in conjunction with electronically received contract data. Odyssey’s customers don’t have to touch the tag, which means the information can be sent to the DoD with 100% accuracy. Issues with proof of delivery become completely nonexistent. Wondering whether or not the information that’s been sent to the DoD is correct, and waiting a month hoping to receive payment, becomes a thing of the past. Previously, these suppliers would ship orders via a typical commercial shipment company like UPS with no additional label marking requirements. That is no longer the case, however, as the DLA requires MIL-STD 129R case and military shipping labels, scheduling of shipment through the Vendor Shipment Module (VSM) as well as a submission to Wide Area Workflow (WAWF) for shipment notices including composition and payment. Most of these suppliers have never even heard of these military standards and websites, and sudden requirement of their utilization is intimidating. Odyssey can easily step in and provide a solution that’s both quick to learn and easy to operate, which means they won’t lose any time or efficiency shipping their product. This ease and efficiency is born mainly from Odyssey managing compliance behind the scenes. Any person could be pulled off the street and taught how to use the software because the tricky stuff is handled automatically. We like to think of ourselves as problem solvers. RFID technology, while practical and efficient, does present challenges to its adopters. The industry as whole is still evolving, and we’re striving to be the foremost leaders within the DoD space. The Odyssey solution eliminates a multitude of issues and inconveniences associated with RFID. We ‘ve recently seen these two specific issues popping up in droves and we want to let suppliers know there is an easy solution to both of them. Have you ever stopped to wonder how your email client works? We live in a world where exchanging messages is as simple as hitting “Send,” and hearing our phones beep as a new reply automatically shows up in our inboxes. Have you ever thought about the wealth of information that’s taking place behind the scenes for those messages to travel like that, though? You’d be forgiven if you hadn’t. Not everyone is interested in the logistics of data exchange. We live for it at Odyssey, though. Electronic data interchange, or EDI, is at the heart of what we do at Odyssey and, as critical as it is, one of our goals is to make sure our customers never have to worry about it. EDI essentially provides a standard for exchanging data via any electronic means. By adhering to these standards, two entities, in entirely different locations, can exchange complex data. EDI, at its most basic, is the backbone of communication between the Government and Odyssey; hence why we think it’s so fundamental, and why we tend to get pretty excited talking about it. Unfortunately, for some, the process of EDI is a tedious, and ultimately frustrating, affair. Limitations to the adoption of EDI, such as companies sharing proprietary data, can cause issues with data exchange. To counteract this, Value-Added Networks, or VANs, were created. VANs act as mediators between companies so that data can be processed and exchanged appropriately. To that end, Odyssey took the necessary steps to become a government approved VAN. Think of a VAN like a post office. It takes the data and encapsulates it into something that can be shared between two entities, much like a post office placing appropriate stamps on your letters and then sending them out through their carriers. This sounds great on the surface, but VAN services are expensive and typically don’t have an easy-to-use interface component. Because of this, companies will sometimes pass up large contracts or special programs within the DoD that require special reporting or invoicing pathways. On top of this, companies that use a VAN will still need software to make practical use of the data. What does that mean from our customers’ standpoint? It means that EDI stops being a concern for them. Our software handles the logistical end of electronic data interchange and leaves the customer with a streamlined experience that takes just a few clicks to complete. Because ease of use is so important to Odyssey and its customers, we’ve created our software to be accessed anywhere, whether it be a PC, Mac, tablet, etc. This means that our customers have complete freedom in where they log into the Odyssey solution. We think this flexibility is paramount in today’s business world as more and more companies are operating in multiple geographic locations and employees working from home offices is becoming increasingly popular. We do recognize, however, that as cloud-based and web-based software become more prevalent so too do security risks. There are daily reports about data security and privacy breaches, viruses and malware, so we specifically constructed Odyssey’s software to offer all the conveniences of cloud-based architecture while simultaneously mitigating cyber security risks. No ads or outside sources are featured within the interface and our SaaS platform is accessed through private architecture and client-specific secure certificate domains. Just like with email exchange clients, Odyssey’s software is at its best when the user isn’t concerned with the logistics of data exchanges happening in the background. We encourage our customers to enjoy the simple interface and the ease at which they can complete compliance and commerce tasks within the DoD space. If you weren’t aware, some big changes are coming to the UID Registry on the planned date of November 3rd. Specifically, the IUID Registry is migrating to the Wide Area Workflow (WAWF) e-Business Suite, and with it, changes to when and where UID information needs to be submitted for new acquisitions. Click here to read more about the migration from the DoD Procurement Toolbox. This new policy appears to be an attempt to make things easier on the supplier, as well as ensure DoD compliance across the board by all registered vendors. This will no doubt cause headaches and potential process changes for some, particularly when it comes to creating compliant labels and submitting the UID data to WAWF at the time of transaction. Some users may be accustomed to simply submitting contract and transactional shipment data to WAWF initially and then circling back to the UID Registry when it’s convenient, if at all. That will no longer be a viable option, as the data will now flow from WAWF to the UID Registry. In other words, the Registry will no longer exist in and of itself for new acquisition submissions. Of course, it’s difficult to guess how the Department of Defense will enforce this new change, but noncompliance could potentially lead to issues such as payment delays and negatively-impacted vendor scores. Simply put, this change is important to get right. We at Odyssey are actually pretty excited about the UID Registry migration to WAWF e-Business Suite, though. Since day one, our software was built to automatically create compliant labels with respect to the PDF417 UIIs and submit UID pedigree data to WAWF and subsequently the UID Registry at the time of transaction. Vendors can either utilize the Odyssey software to marshal their UIDs or they can easily scan or import previously marked items into Odyssey’s software for management and transmission purposes. Once the UID is tied to a transaction in Odyssey, whether RFID is required or not, it just takes a single click and, boom, all the data is pushed exactly where it needs to go and Vendors are compliant. So, ultimately, how important is this UID Registry migration to Odyssey and its users? From a purely practical standpoint, not very. Odyssey users will continue to interface with the software as normal. No extra process steps or new settings that need to be toggled will be added. Our users are already 100% compliant with the new regulation. In another sense, however, the change is important because this migration, and Odyssey’s proactive compliance with it, shows that we’re staying ahead of the curve when it comes to DoD regulations. In the end, this migration makes us happy, because we’ve strived to design a compliant, transparent, repeatable program that’s quick and easy for our users. UID data is extremely important to the DoD because it is the backbone of lifecycle management for some of the most important new acquisitions made by our Armed forces. The fact that we don’t need to make a single change to adhere to this migration policy reaffirms our corporate understanding of the importance of upstream activities by DoD vendors and suppliers, and tells us we’re doing something right! If a company or person has been working within the DoD space for any amount of time the Vendor Shipment Module (VSM) formerly known as DPMS is probably somewhat familiar. If your new to the DoD commerce world and specifically Defense Logistics Agency (DLA) transactions we will attempt to provide some clarity to this piece of the process. The Vendor Shipment Module or commonly referred to as VSM is a distribution and transportation system that DLA utilizes to support global warfigther efforts. Suppliers access VSM through a web-based portal and registered login information. click here to visit the vsm registration and login page. 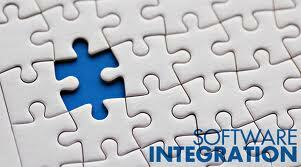 It is reccomended that each organization register with VSM. VSM provides DLA the ability to more effectively have in-transit visibility on assests as they move from the vendor to various DLA destinations, ports and ultimately to customers. VSM was designed in order to provide the most efficient process both physically and fiscally for DLA. Statistics point to over 2,600 vendors utilizing the system and processing over 100,000 shipments per month. This number is growing rapidly in the wake of the memo dated September 3, 2013 introducing the First Destination Transportation Inatiative. Maximizing vendor participation increases the economy of scale thus improving the cost savings realized by the government. Cost savings is a mere by-product of deploying human capital in the most efficient manner possible. In order for the entire supply chain to reach maximum cost savings; efficiencies must be deployed evenly on the vendor and government side of the transaction. Vendors should have the ability to meet these additional requirements as efficiently and effectively as possible. What about MIL-STD-129 and RFID? The question often asked is how does utilizing VSM affect the requirement of Military Standard 129 p change 4 specifically RFID? The answer is that it doesn't. VSM is a valuable, yet additional step in the process. Contracts calling out for Mil-std-129 label requirements including RFID must still be addressed. The in-transit visibility provided by VSM is not related to the passive RFID mandate which is used to populate Wide Area Workflow (WAWF) for inventory control methodolgy and payment. It is still very important to address the MIL-STD 129 label requirement. The vendor is also required to submit advance shipment notices (ASN) and commercial invoices (CI), potentially together as a combo directly to WAWF with the appropriate RFID information. Focusing on the proper completion of these steps will ensure DoD compliance as well as continued high performance vendor scoring and prompt payment. The government has provided free services and tools for vendors to meet these requirements. 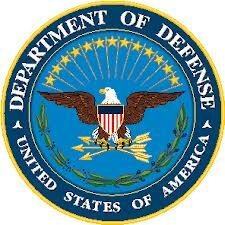 Regsitering with the following sites will assist any organizaiton that would like to work in the area of DoD commerce. We have been very busy here at ODYSSEY over the last few months; and that is a good thing! Unfortunately as we grow some things tend to take a backseat. As we continue down the path of growth we are working toward a consistent message utilizing our blog and other direct connect methods. Recently ODYSSEY decided to become more involved with the DoD packaging side of the business. Not so much from a product or material standpoint, but rather a resource for information. Our journey to become more knowledgeable about DoD specification packaging led us to the ASTM organization. ASTM has offered ODYSSEY an opportunity to become more knowledgeable about specific requirements while also opening new doors for networking within this niche field of ours. We encourage organizations to research the ASTM International website and become as familiar with the new commercial packaging specs adopted by most DLA customers. CINCINNATI, OH; April 28, 2014—ODYSSEY, the leader in defense commerce solutions and the only Department of Defense (DoD) commerce solution provider delivering an integrated, cross-departmental workflow process in the cloud, is pleased to announce that they are now members of ASTM International (formerly known as the American Society for Testing and Materials). ODYSSEY’s membership is driven by the DoD’s acceptance of ASTM D3951 Commercial Packaging as the standard moving forward for the majority of DLA Troop Support purchases. The adoption of the Commercial Pack Standard broadens the supplier base, while simultaneously reducing the difficult nature of previous packaging methods. ASTM is the globally recognized leader in the development and delivery of international voluntary consensus standards. Today, some 12,000 ASTM standards are used around the world to improve product quality, enhance safety, facilitate market access and trade, and build consumer confidence. ASTM’s leadership in international standards development is driven by the contributions of its members: more than 30,000 of the world’s top technical experts and business professionals representing 150 countries. Working in an open and transparent process and using ASTM’s advanced electronic infrastructure, ASTM members deliver the test methods, specifications, guides, and practices that support industries and governments worldwide. For more information, visit http://www.astm.org/.